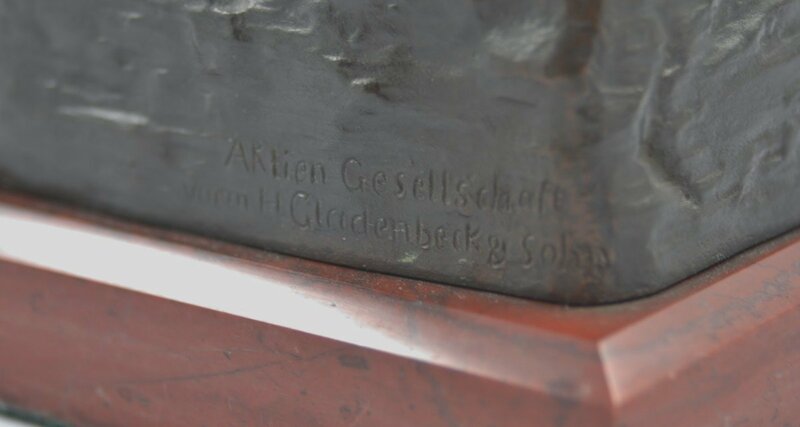 Bronze by Max Kruse (1869-1938) entitled ‘NENIKHKAMEN’ (we are victorious) inscribed- ‘Aktien Gesellschaft vorm H Gladenbeck & Sohn’ circa 1900. 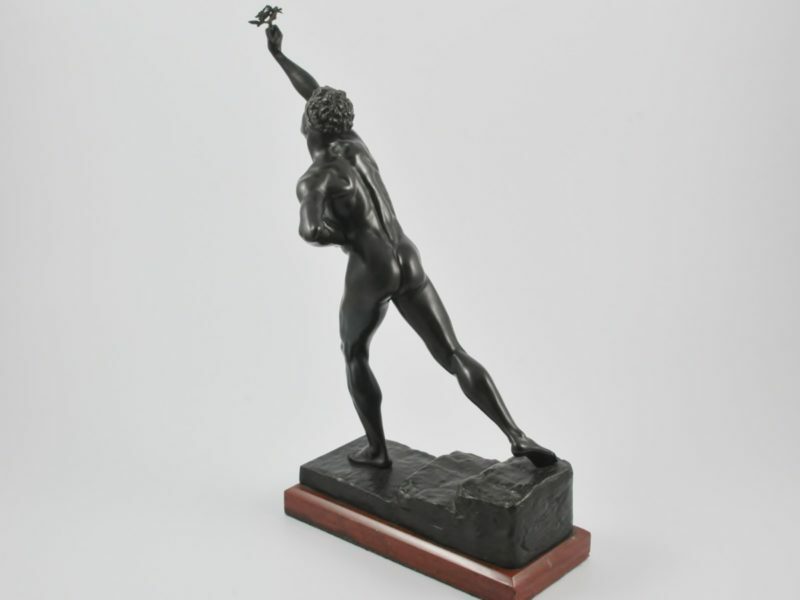 This model is illustrated in Bronzes, Sculptors and Founders, 1800-1930, H. Berman, Chicago, 1980 Volume IV, page 905. 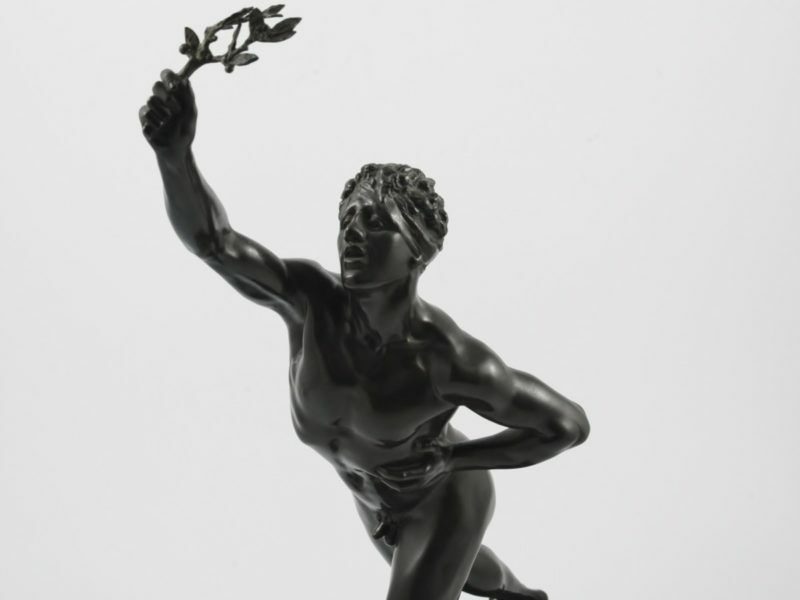 ‘Nenikikamen’ is a translation of the ancient Greek ‘we have won’, and according to legend was the last word of the messenger Pheidippides after he completed his run to Marathon from Athens to report the defeat of the Persians in 490 BC. 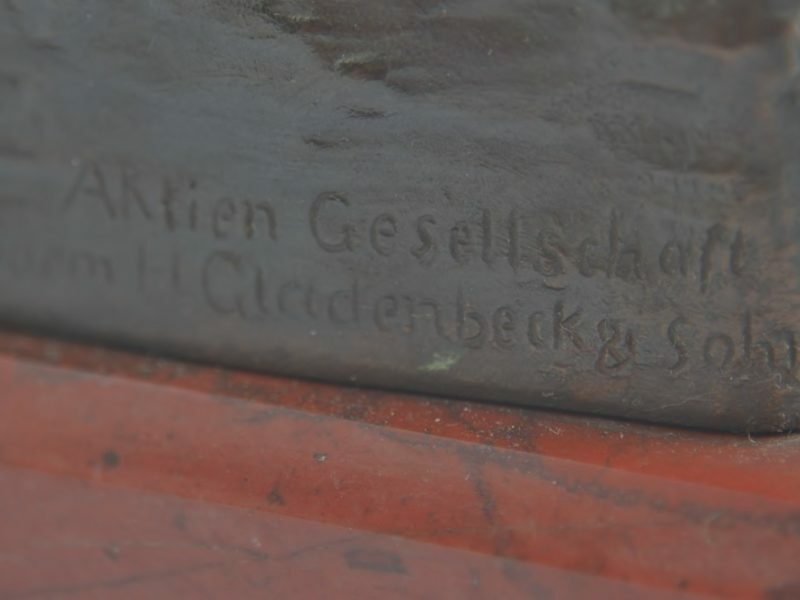 The Gladenbeck foundry was founded by Carl Gustav Hermann Gladenbeck in 1851 and was run by various family members and shareholders until the early years of the 20th century. 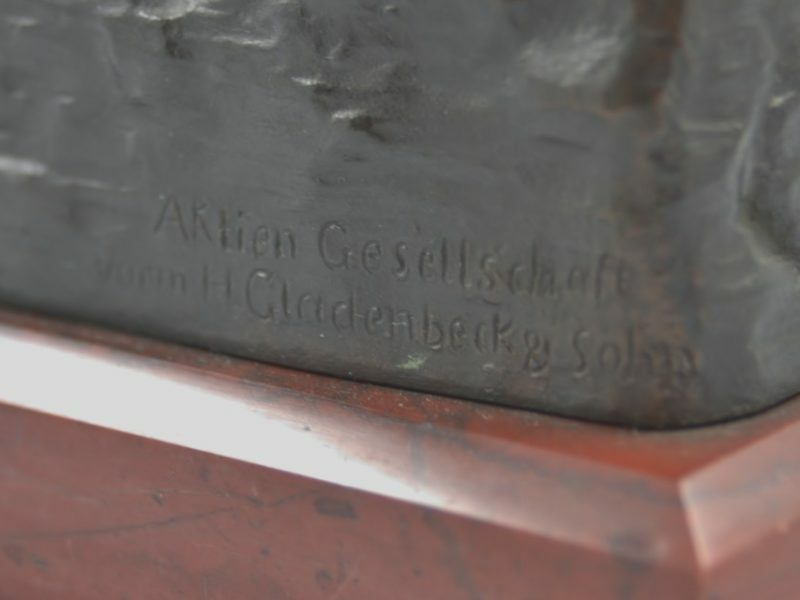 In 1857 the company relocated to Berlin, and in 1888 became Aktien-Gesellschaft H. Gladenbeck und Sohn; directed by Hermann Gladenbeck and sons Oskar and Alfred and the present bronze was produced by this foundry. 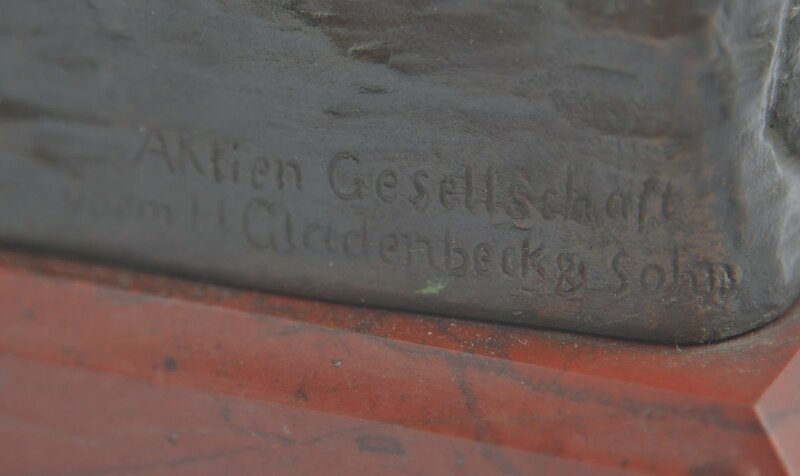 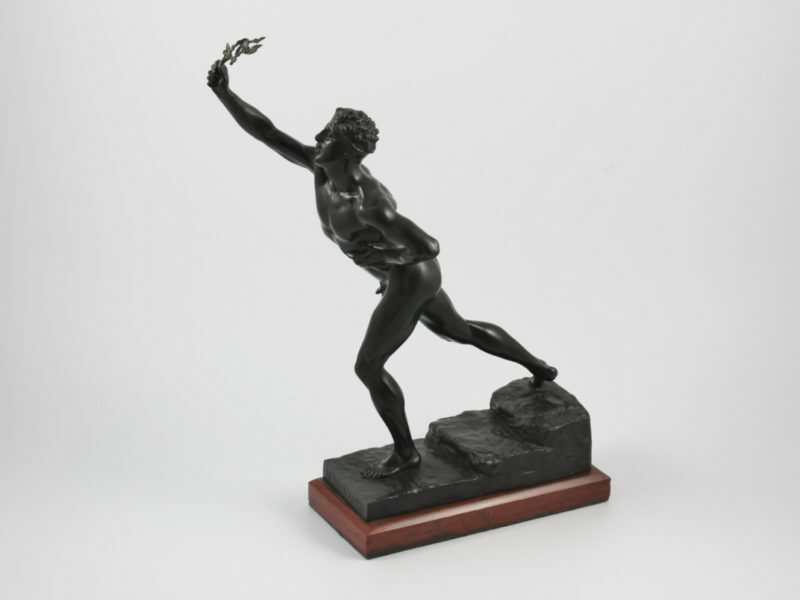 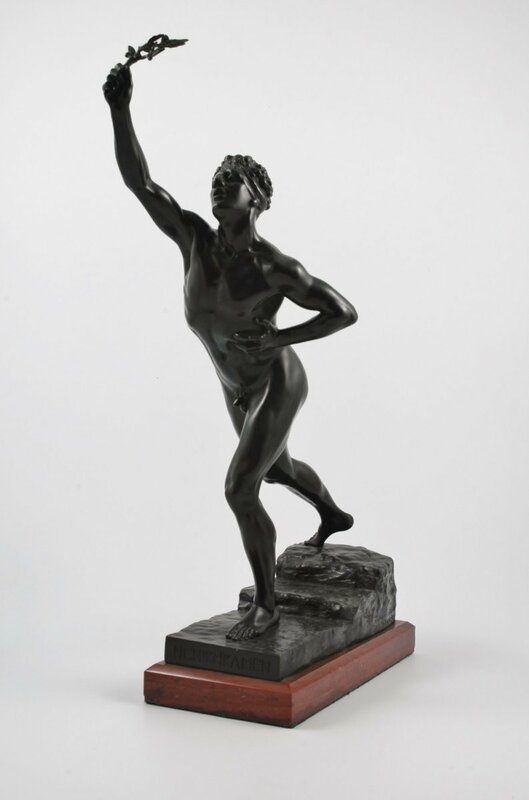 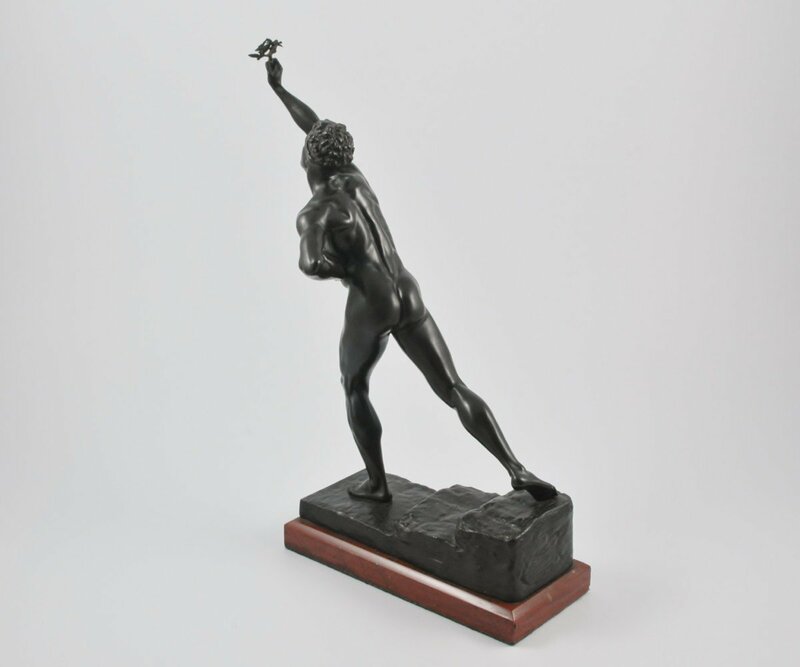 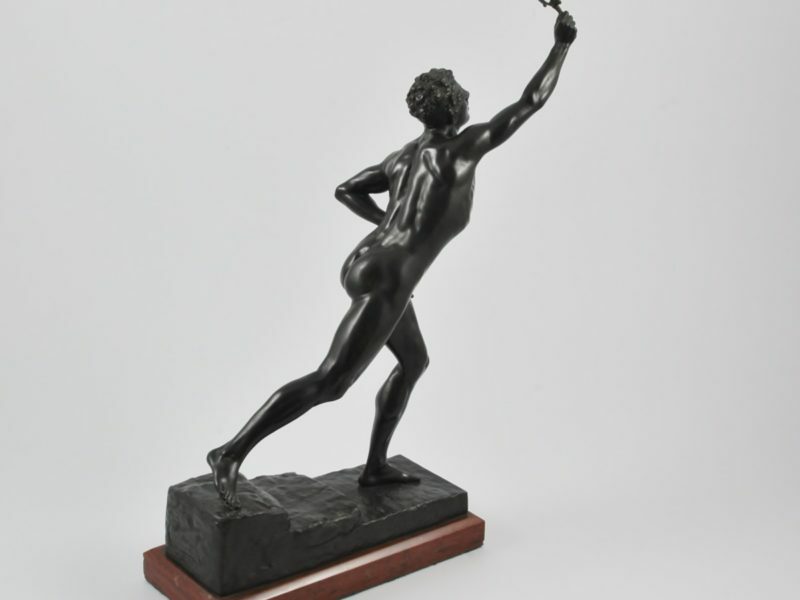 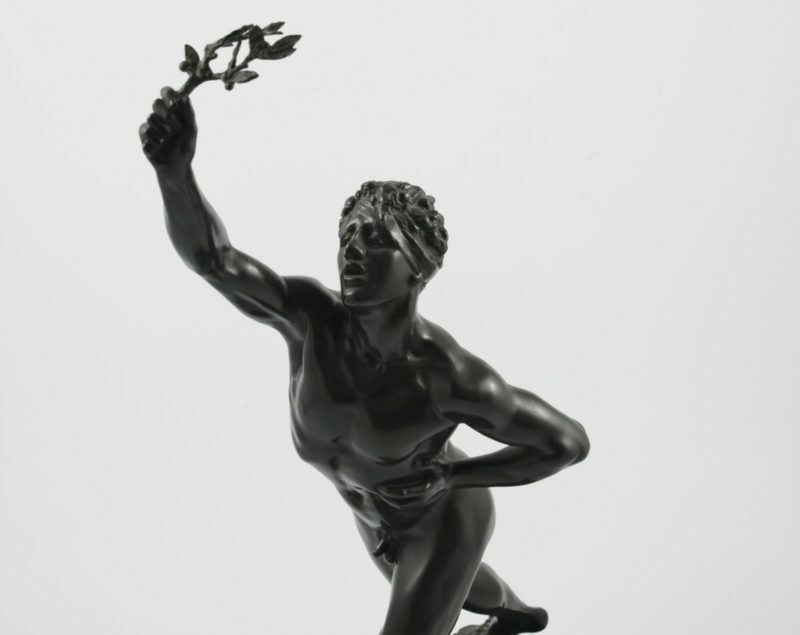 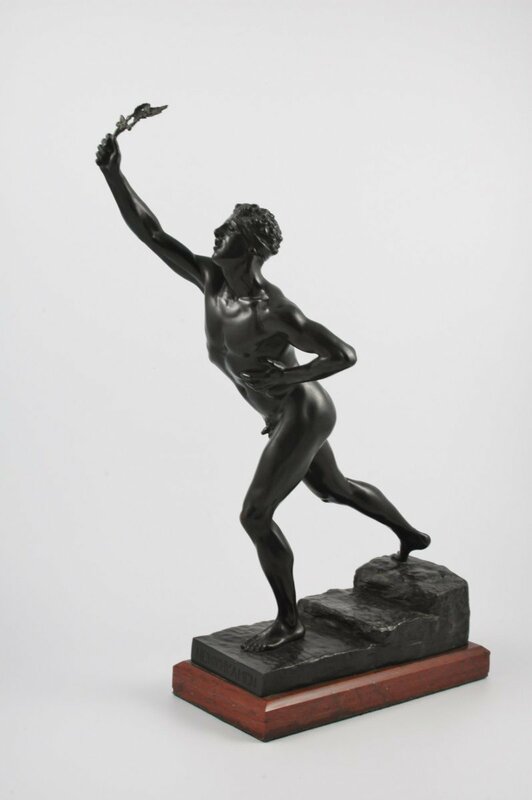 By the early 20th century the company had become Gladenbeck’s Bronzegieβerei, founded by sons Walter and Paul. 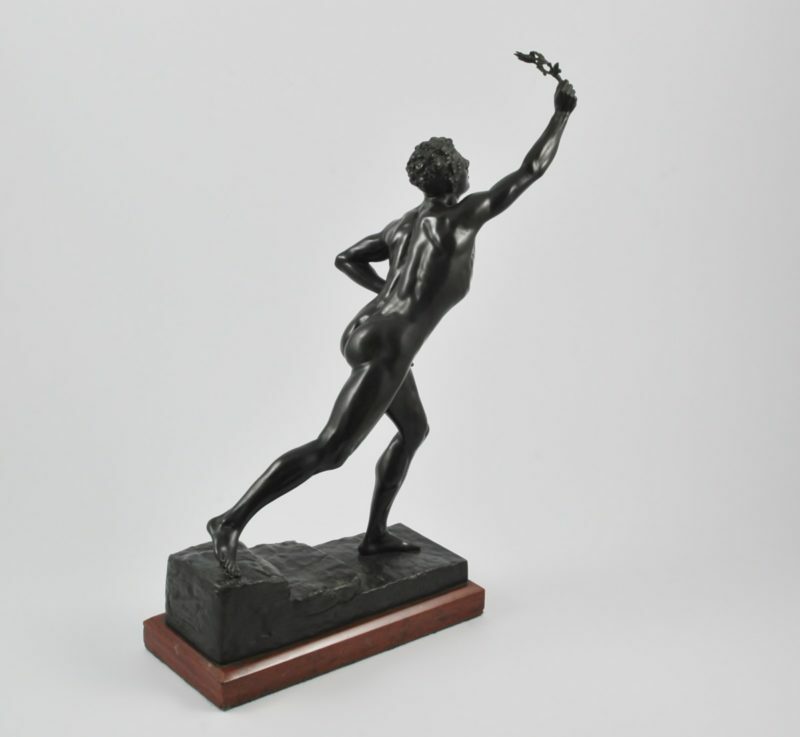 Dimensions: 37,4 cm high by 21 cm long by 9,3 cm deep.